View the Reasons for Illiteracy PowerPoint presentation and take the quiz. Please view the presentation in the Normal View to see important notations. Viewing as a Slide Show will not allow you to see this information. Stat Reasons Illiteracy (PowerPoint) Quiz Take the short quiz to verify completion of the Reasons for Illiteracy presentation. ProLiteracy is the largest adult literacy and basic education membership organization in the nation. You will use OIC of Oklahoma County’s membership to access their online training classes. You may read the instructions below or print them. To get started, let’s create your account and select your online classes. First go to the ProLiteracy website. Choose Oklahoma as your state. From the top menu select Resources/Old ProLiteracy Education Network Online Courses, (yes, you will need to register/log in again). After you have them all in box, click Enroll Now then the Confirm button. You will need to search for the next class. In the search box, type in Language Experience Approach and – Select – Enroll – Confirm. It may take a few minutes for your classes to appear. Once in your course box you may begin your class. Each class has a final certificate at the end. Please download your completion certificate, save it for yourself and then email it to Blair Lanning at blanning@oicokc.org. 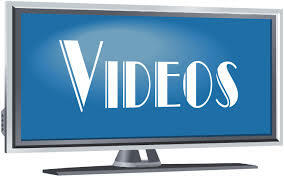 Videos to Watch The following videos will give you an idea of the Language Experience Approach process and what it is like to tutor a student. The Language Experience Approach (Video) An example of the Language Experience Approach (LEA). LEA is a teaching technique that is effective whether the student is beginning, intermediate, or advanced level of reading. The strategy uses the student’s own words and story to teach numerous reading, writing and word-attack skills. Everyone A Reader Volunteer Program, Tutor Example (Video) This video shows a tutor working with a young boy. Note the calm and encouraging demeanor of the tutor. This is a good example of the tutoring process. 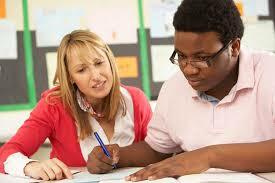 Your next step to becoming and reading tutor will be to attend the in-person training (date to be determined). Items that will be covered during the short session will be curriculum, strategies, real world materials and learning styles.